For the last few months we’ve been sharing our favorite news stories and articles about mapping from around the globe. We created the series back in October to celebrate our love of maps—and to highlight the fact that maps are literally all around us. They are everywhere. Why? Because maps create the opportunity to present extremely complex data in a way that most people can digest and understand. 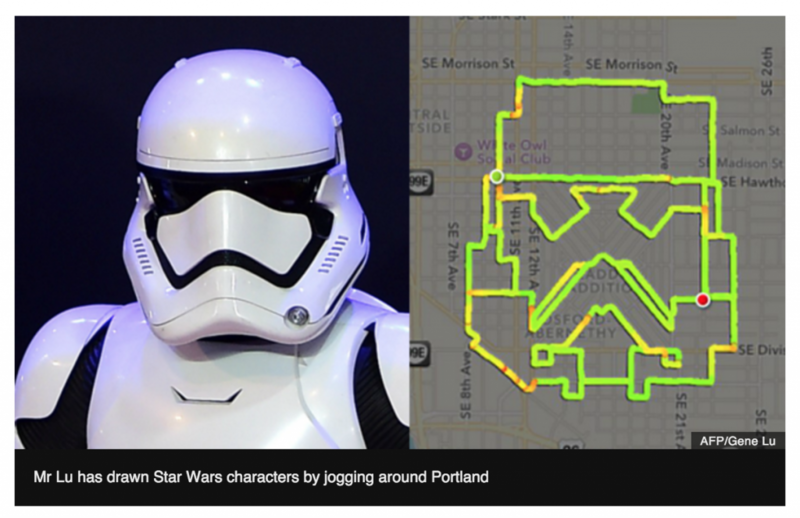 Maps tell stories. They persuade. They change minds. They lead people to act. They inform. This announcement would make it seemingly a lot more challenging for companies like Google to regain the opportunity to return to China (it has been banned from the country since 2010). It’s an interesting article because it highlights the challenge that exists when it comes to offering advanced mapping technology to people in other parts of the world. 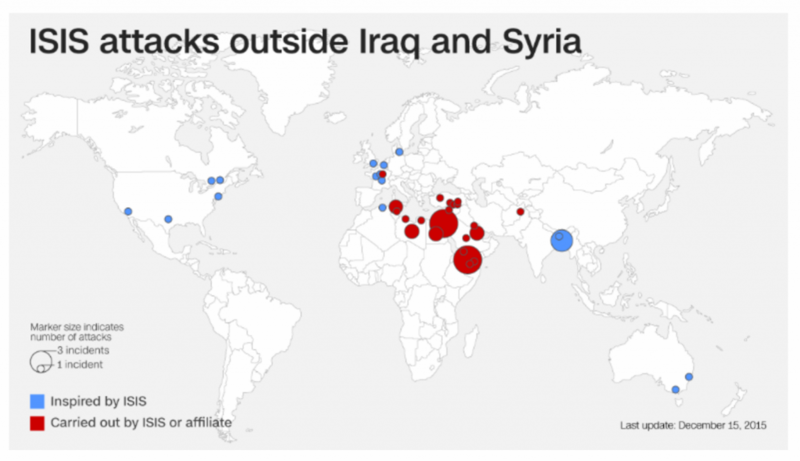 The maps included in the article are not interactive, but there are a number of different views that have been created and placed throughout the article to help visualize attacks in different parts of the world. This is a helpful example that shows how powerful mapping can be in visualizing data that is incredibly complex, spread out across large geographic areas, and difficult to comprehend by reading text alone. 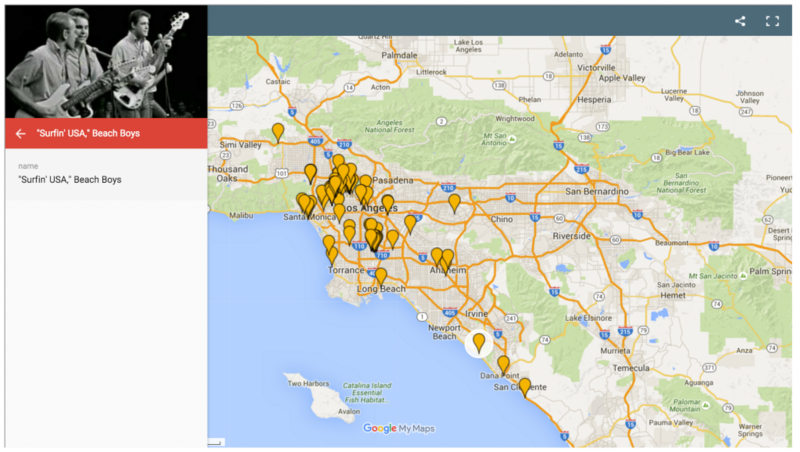 It then introduces ‘songlines’ to show how music has influenced various neighborhoods throughout the L.A. area. It’s an incredibly interesting article that ties social, demographic, and historical data with locations on a map—a great example of the power and endless opportunities that exist when it comes to mapping. In a continued quest to build its own mapping technology, this article reports that on ride-sharing giant Uber has hired another former Google Maps employee to join their ranks. Manik Gupta was at Google for seven years, and follows another former Google Maps employee who joined Uber last summer. It’s a great example that illustrates how present mapping is in all of our daily lives—even if we don’t always think bout it or realize it. To explore this interactive map, click here. 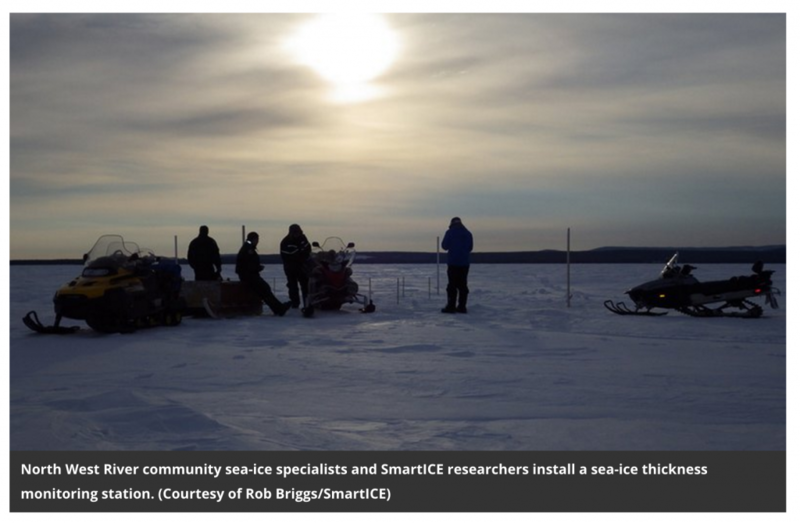 This article explains how Sea-ice Monitoring and Real-Time Information for Coastal Environments, or SmartICE is helping people living in Arctic communities stay ahead of the ever-changing freezing patterns that people rely on for hunting and traveling. It’s another great example the many ways that mapping can be used to make life better, easier, and more prosperous for communities in pockets all over the world. Want to catch up on the stories we shared in previous months? Click here to read through the post from October, and click here to read through the post from November.